The issue is cost and lack of revenues. As I detailed in a previous blog post, given current projected revenues, the Authority will be about $17 billion short to get the train over the Tehachapi mountains and then tunnel through the San Gabriels. It will be possibly $7 billion cheaper to build it over the relatively flatter terrain into San Jose. And that way the Authority would at least be able to claim a partial victory of getting the first line to a major metropolitan area with the state’s initial investment of bond money. Of course, everything would change if private investors stepped up to help finance the system. But so far that’s not happening. And given the wayward, inefficient route, driven to large extent by local political considerations, no private investor wants to rescue the system. The best the Authority can hope for now, besides this angel private investment, is to connect the system to San Jose from somewhere south of Fresno and then have it actually make some money temporarily as an improved Amtrak line. 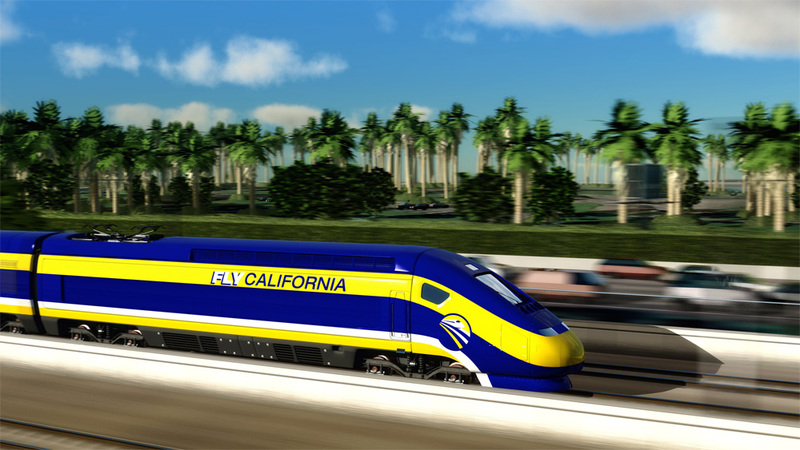 In a few decades, state officials can return to the voters and ask for more money to try to convert it to high speed rail, with some funding to get it over the Tehachapis to Southern California. Alternatively, Southern California counties could go in on a multi-county system that would connect Union Station in downtown Los Angeles to San Diego, which would be a perfect high-speed rail route. To be clear, I support the idea of high-speed rail in California, and I want the system to successful. But this current effort has so far been badly mangled by political compromises that have risked the ability of system proponents to even get it built at this point. And that would be a huge setback — a multi-generational one — for the high-speed rail effort in California. « How should California fund its K-12 school facility needs?